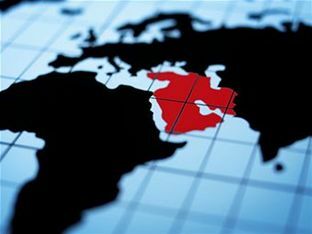 Volatility in the Middle East has highlighted the need for economic diversification. Professor Neil Kirkpatrick, Head of Environmental Sustainability, Royal Group, says designing and building a city where infrastructure and buildings are tailored to optimise sustainable performance is now mission critical. Kirkpatrick is a speaker at the marcus evans Infrastructure & Property Development MEA Summit 2011 taking place on 2 – 4 May in Dubai. A growing hub for business and tourism in the Middle East, there is a clear plan for how Abu Dhabi will develop in the next 30 years, he explains. “Considerable efforts have gone into developing a suite of tools to ensure that sustainable design and construction underpins how the city shall develop. Estidama – the Arabic word for sustainability – is a programme of initiatives that are helping planners and developers to design and build a city where our infrastructure and buildings are tailored to optimise sustainable performance. Dramatically improving environmental and sustainability records require a concerted effort, he adds. “Each country has a different ecological footprint and this can be used to determine whether we are living sustainably; i.e. using resources at a rate no greater than that at which they can be replaced. In theory, the UAE actually requires the resources of six planets to sustain our lifestyle. At the end of the day, he notes, whilst there might be an abundance of greenery, beautiful buildings and wide highways, Abu Dhabi is still a desert with limited natural resources. The marcus evans Infrastructure & Property Development MEA Summit 2011 will take place on 2 – 4 May in Dubai.